A Welsh dualling scheme beset by delays, rising costs and a contractual dispute has been hailed by first minister Mark Drakeford as an example of successful capital investment in Wales. The Welsh Government is unable to say when the dualling of the A465 Heads of the Valleys road between Gilwern and Brynmawr will be completed or what the final cost will be. A spokeswoman confirmed to Highways that the Government is still in dispute with contractor Costain over liability for additional cost. The Government is committed to dualling the entire A465 from Abergavenny to Hirwaun. The road is already dual carriageway from Hirwaun to the M4 near Port Talbot. 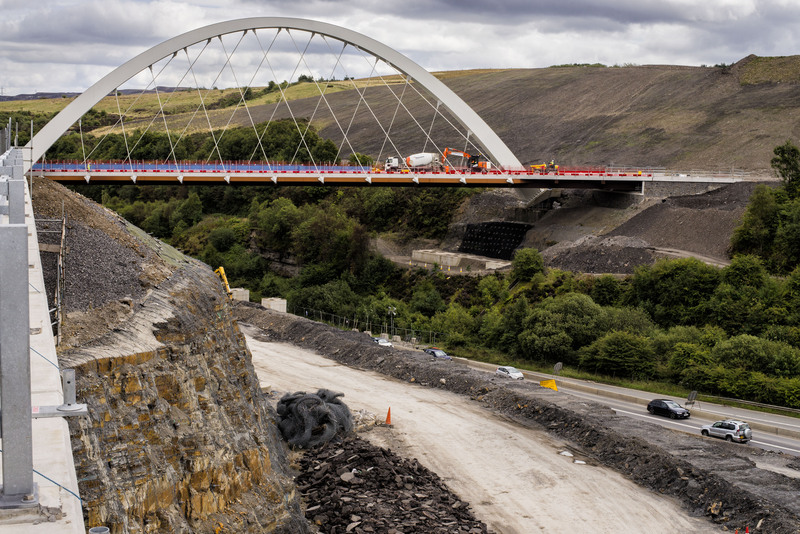 Work on the Gilwern-Brynmawr section began on site in early 2015. Mr Drakeford was finance minister when the Government revealed in autumn 2017 that the cost – previously estimated at about £220m – had increased by 23%. Transport minister Ken Skates said the Government was determined to protect taxpayers from the additional costs. At the time, ministers expected completion in late 2019 and were considering completing the eastern part in early spring 2019. This week the government said it anticipated the eastern part being completed by the end of the summer and 'technical challenges faced by the contractor' had extended the overall completion date. Residents and businesses have complained about the ongoing roadworks. Last year, Stagecoach reduced bus services in response to the disruption. Last week, the largest new structure on this section of the A465 was named the Jack Williams Gateway Bridge (pictured above), honouring a local World War 1 hero who received the Victoria Cross. The 118-metre thrust arch bridge carries a local road across the gorge in which the A465 lies.